Originally founded as the Syracuse Nationals, the team became the Philadelphia 76ers in 1963. The franchise claimed three NBA Championships in 1955, 1967 and 1983. The team was led by high scoring guard Allen Iverson in the late 1990s and 2000s. 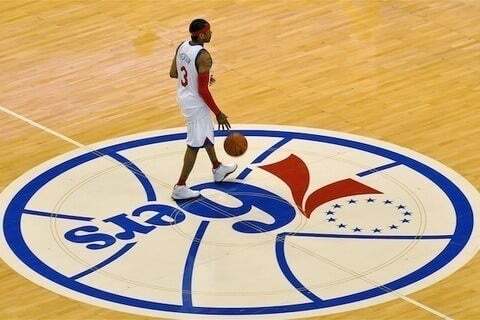 He won the NBA MVP Award in 2000-01 while leading the 76ers to the NBA Finals.